A clear complexion is something many people want, but even with the most meticulous skincare regimen, blemish-free skin can be difficult to achieve. Photorejuvenation, which uses Intense Pulsed Light (IPL) technology, can help reduce the appearance of some of the most common skin woes, including brown spots, melasma, broken capillaries and sun spots. IPL Photorejuvenation is an advanced skin rejuvenation treatment which utilises the power of light to effectively target and remove unwanted blemishes such as pigmentation, redness and acne scarring. By treating a variety of skin conditions with one simple treatment, it’s easy to see why IPL™ Photo Rejuvenation Therapy is often considered the most effective cosmetic skin rejuvenation treatment available today. What are the benefits of IPL Photo Rejuvenation? By removing unwanted skin problems such as pigmentation, redness and scarring it allows you to wear less make-up and feel more confident as your skin will look good every day. The treatments also stimulate collagen in the deeper layers of the skin and therefore will plump and smooth the texture of the skin. If you live in Brisbane or on the Sunshine Coast, Image by Laser can reduce or remove skin imperfections with IPL treatments and leave your skin smooth, clear and radiant. Utilising Intense Pulse Light Technology, your trained Image by Laser consultant will deliver pulses of broad spectrum light with our state of the art computer controlled equipment, directly to the affected area. The pulses of light selectively target the colour in the skin concern and convert to heat which breaks down the unwanted cells which contain melanin (pigmentation) or haemaglobin (capillaries). When undergoing any IPL skin rejuvenation procedure it’s natural to be a little apprehensive, rest assured that our trained and experienced Image by Laser consultants are available to discuss any, and all of your enquiries. 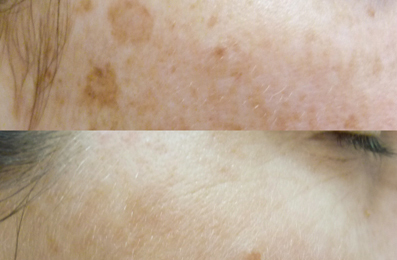 What technology do you use for IPL Photo Rejuvenation in Brisbane? 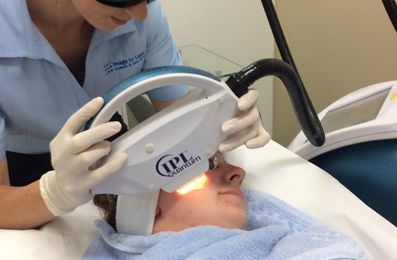 At Image by Laser we utilise the Quantum IPL for all of our photo rejuvenation treatments. It’s quality and effectiveness have led to it being known as the gold standard of IPL systems worldwide due to its excellent results in treating a variety of skin concerns such as sun damage, freckles, rosacea or facial capillaries. What does IPL Photo Rejuvenation treat? Fractional Skin Resurfacing may be used in conjunction with IPL Photo Rejuvenation for those skins that have uneven pigmentation or redness as well as textural concerns. For more information see our Fractional Skin Resurfacing page.